St. Martin's Griffin, 9780312317485, 320pp. Restaurateur Jane Lawless is thrilled to be catering the wedding of some family friends, Nick and Lauren Clifford, but when Jane arrives at the reception, she's in for a shock of a lifetime-and one that could jeopardize her career. The food has been spiked with hallucinogenic mushrooms and the drug-hazed guests are engaged in dangerously reckless behavior. When the groom takes a near fatal dive into an empty pool, an investigation begins and Jane turns to her best friend Cordelia Thorn for help in clearing her name. But when Cordelia's sister, Octavia, suddenly deserts her infant daughter on Cordelia's doorstep, Jane is on her own. Events take a turn for the worse when the father of the groom comes up against shocking accusations, and it's up to Jane to uncover the truth. Once again, Ellen Hart has woven intriguing characters and surprising twists into a complex and absorbing story. 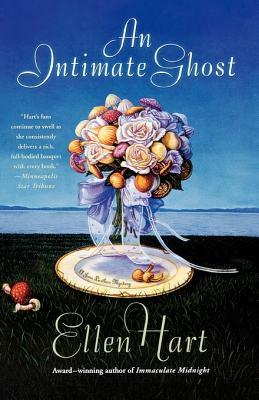 Ellen Hart, multiple Lambda Award winner and two-time Minnesota Book Award winner, is the author of twelve Jane Lawless mysteries, including most recently "An Intimate Ghost," and the Sophie Greenway mystery series. She lives in Minneapolis.